Where did the week go? I am sorry that I've been MIA for the last few weeks. I've been stressed about finding a job. All things fun seem like a procrastination from finding a job. The job I was hoping to get hasn't called. It wouldn't be such a big deal, but it seemed surprisingly perfect for my skill set, so the situation is frustrating. I had an interview for a different job this week past week, and I have another job interview set up for this week. Both of these jobs are part-time with lots of flexibility, so I should be able to do both of them. They both sound like they should be fun. I'm keeping my fingers crossed. *sigh* Luckily, I get health insurance through my husband, so I'm just looking for a job to help pay the bills. 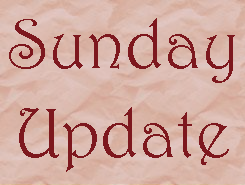 Wednesday: Scarlet by Marissa Meyer: Review + Audio Bonus! Now there's a mini audio review. Thursday: Thoughtful Thursday: What do you do with books that you've read? I am so excited about this book! 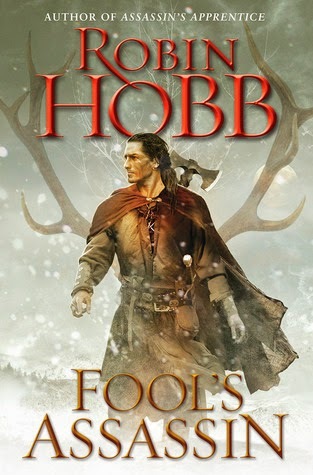 I got a copy of Fool's Assassin by Robin Hobb! I can't wait to read it! I squealed when I got the email. 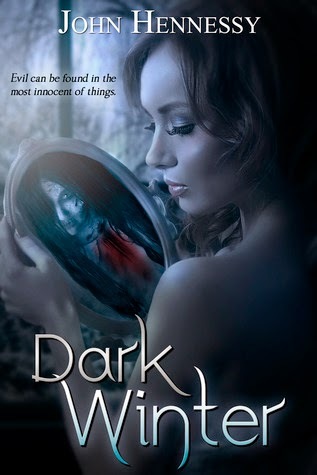 I received Dark Winter by John Hennessy from a giveaway hosted by the lovely Chené from Mean Who You Are. 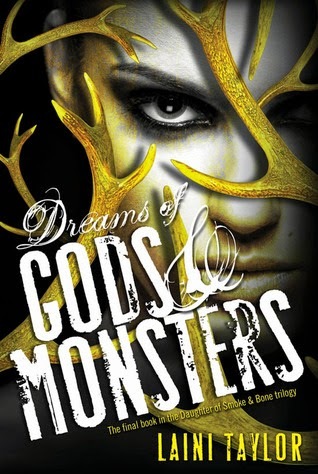 I got Dreams of Gods & Monsters by Laini Taylor from the library this week! Isn't the cover gorgeous. I can't wait to read it. Words of Radiance by Brandon Sanderson: I picked this book up again. It is so fantastic. I put the book down after Kaladin did something stupid *again. * The next chapter was so good!